We are happy to welcome Officer Tommy Maynard to Hamilton Local as he begins serving as the School Resource Officer throughout our district. Members of our Board of Education brought a School Resource Officer to Hamilton Local following a unanimous vote during the regularly scheduled meeting on November 12, 2018. "Officer Maynard is a proud graduate of Hamilton Township, and he knows our district very well," Hamilton Local Superintendent Mark Tyler shared. "We are happy to have him in our district on a daily basis to provide an immediate response should the need ever arise. We, like every other school district in America, hope we never have to utilize him in that manner, but we want our students, employees, and community to know that we have made a commitment to our district's security in instances where a quick response time matters." 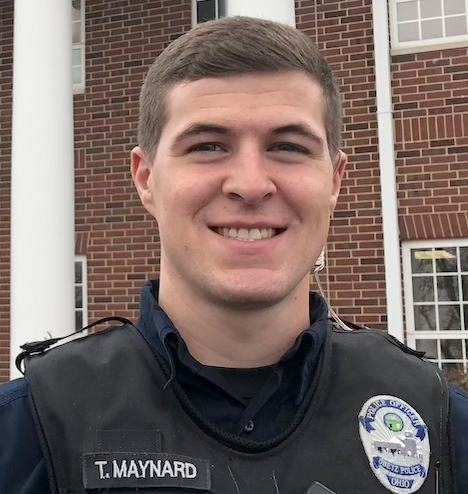 Our commitment to school safety will not stop with the addition of Officer Maynard to our team. We will continue to study our district safety plan, and evolve protocols as needed in order to maximize student, employee, and visitor safety.